An agitated mind gets lost in its own agitation. Pause for a while. 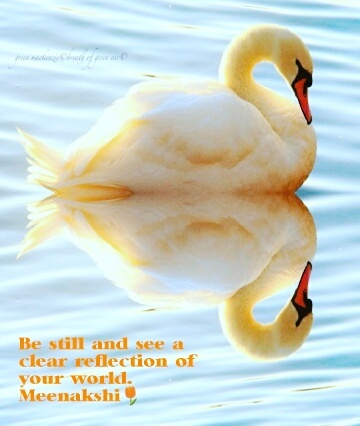 Be still. Between inbreath and outbreath, is the universe. From one inbreath to another, a miracle happens: life decides to go on. In our rushed lives, we don’t even experience that miracle! The universe, space, galaxies can be glimpsed in that pause. That is truly who we are. That is self-reflection. Why reflect on yourself? Because your attention, perception, understanding, delusion, illusion, expectation, belief, emotions, decisions – all together form your life, your world, your experience. If your thoughts are agitated, slow down your breath. If your breathing is agitated, calm your thoughts. This is pranayama, the yogic science if prana, life, breath. Between your breaths, you are. Next Next post: Can you handle the truth?